Never before at AM Services Group has someone been nominated for an EOTM award by two people, let alone three! Zoe Atkinson therefore not only impressed by her hard work, dedication and initiative but also by the fact that she was nominated by her line manager Myfanwe Costin, our HSEQ manager Paul Hatton and our HR officer Stephanie Taylor completely independently. This was truly remarkable and an indication that Zoe is doing lots of great things for our business. Recently Zoe managed the change of mobile phone suppliers for the company. This was no mean logistical feat, given the size and scale of the project. Zoe has managed to save the company thousands of pounds and has also, through steely determination to see the work through to a successful conclusion, ensured that people were contactable and any issues resolved as soon as possible during the transition. Zoe also supports the administration of our SIA licensing, vetting and recruitment process. She has taken ownership of this, has made great progress, and fully supported our recent ACS audit.  On top of this, Zoe has successfully completed courses for internal auditing and first aid training alongside BS7858:2012 to help with her SIA background checks and screening. She has also completed her SIA (Security Industry Authority) licence and is a badge holder. “Her positivity has been amazing”;“She goes the extra mile time after time and makes other people’s jobs easier by completing requests promptly and efficiently”; “Zoe sees the bigger picture, really understanding the company and where we want to be. She has an absolutely fantastic can-do attitude and approach to her work. Nothing is ever too much trouble. She goes above and beyond what is expected of her, thus challenging herself at times”.